On view in ICA Miami’s second floor galleries is Pedro Reyes’s installation Sanatorium, an ongoing performative project that mixes art and psychology. 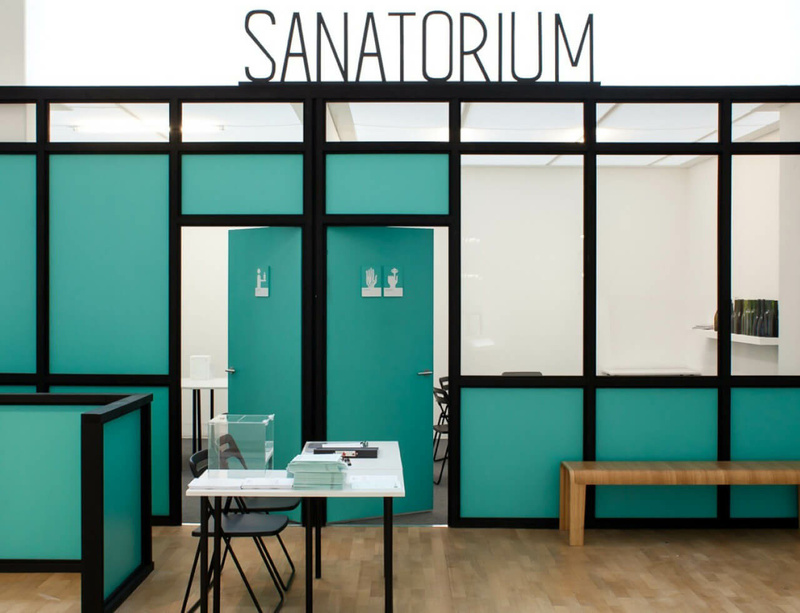 The installation takes the form of a transient clinic, in which receptionists and 'therapists' trained by the artist, help visitors with their individual needs. Reyes’s therapies leverage a range of methods—from Gestalt psychology, psychodrama, and hypnosis, to theater warm-up exercises, conflict-resolution techniques, and trust-building games. First presented at the Solomon R. Guggenheim Museum in 2011, and radically adapted with each subsequent iteration, Sanatorium at ICA Miami (3 December 2014 – 15 March 2015) reflects the region’s dynamic landscape and community. Trained as an architect, born and based in Mexico, Reyes is known for his structures, relational installations, and his performance and video work, which have been presented internationally.